Despite a heavy police presence and other restrictions, the Awami Ittehad Party (AIP) carried out a protest march against Prime Minister Narender Modi’s visit to Kashmir. Hundreds of party activists surfaced in localities around the capital city of Srinagar and began shouting anti-Modi slogans. The non-local labourers from states such as Bihar, Punjab and Uttar Pradesh were also seen among the audience for the PM’s rally. Non-local labourers had occupied the front rows adjacent to the place where arrangements for the people from print and electronic media had been made. Spotting non-locals in such a large number, press interacted with them where it was alleged they were forcibly brought there. 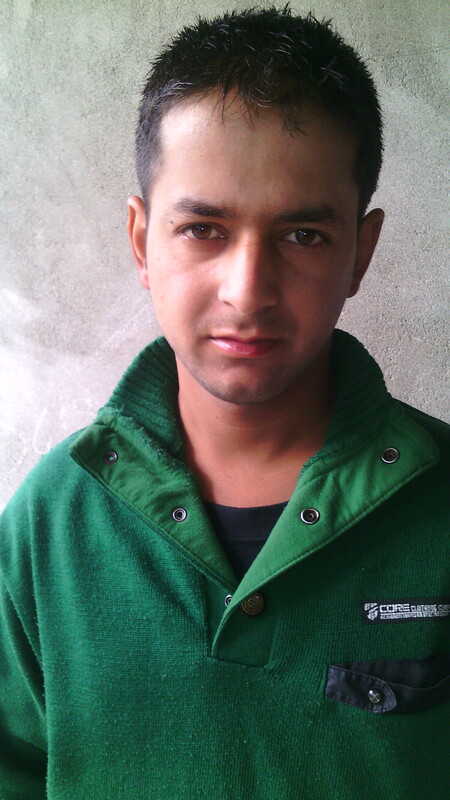 “We have been staying in a rented house at Barzulla Srinagar. Two Policemen arrived at our house and directed all of us to attend Modi’s rally” a group of Biharis told reporters adding that due to a police diktat they could not attend their routine work. The remarks made by these non-locals irritated some of the ardent supporters of Mufti’s party who not only abused them but also shoved them to the back rows. 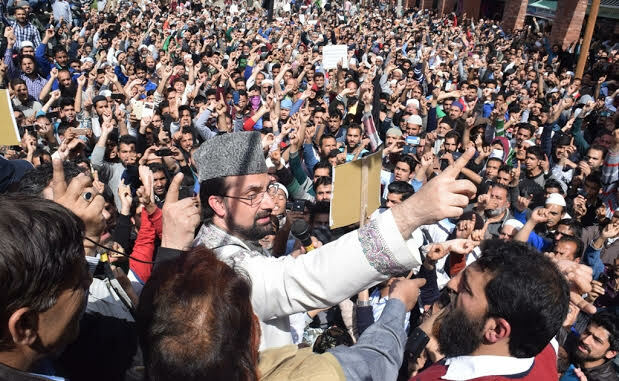 Supporters of Mufti’s PDP party, amid pro-Mufti slogans, informed media that they arrived here at their own will and they love Mufti and Modi. Meanwhile, agitated youths attacked a number of vehicles carrying PDP supporters to the rally on the outskirts of Srinagar. Eyewitnesses said more than 15 vehicles were damaged in these attacks. Stringent restrictions put in place in Srinagar on Saturday for the rally of Prime Minister at SK Cricket Stadium affected normal life in the capital. Police and paramilitary CRPF troopers enforced restrictions in various city areas by placing concertina wire and barricades. All roads leading to the SK Stadium were sealed. The restrictions caused inconvenience to people and tourists. “Due to restrictions, we are not able to reach the Airport. Police told us the restrictions will be eased when the PM’s rally ends, but until then we will miss our flight,” said a group of tourists at Boulevard. “Since last week we have enjoyed our holiday in Kashmir, but the restrictions today put a damper on things. We could not visit Gulmarg due to stringent restrictions today. It is a nightmarish experience for us. We are leaving for Delhi on Sunday morning with bad memories from this scenic place,” said a group of tourists from Mumbai, who were stranded due to the restrictions at the Baba Dharam Dass road. “The forces have turned the city into a garrison. We are not even allowed to venture out to purchase medicine and food” said Maqbool Ahmad of Nawa Kadal in Old city. Residents of various areas in Shaher-e-Khaas alleged that forces smashed window panes of their houses. “In the evening, forces went berserk and without any provocation smashed the window panes of our houses and thrashed several youth,” alleged the residents of Reshanhar, Nawa Kadal. They said the forces also went berserk at Tarabal, Gratabal, Domba Kadal, Khanqah-e-Sokhta and the Gani Memorial Stadium at Rajouri Kadal. “They also damaged several parked vehicles in our locality,” said the residents of Khanda Bhawan Nawa Kadal. Residents of various areas of the Old City also alleged that forces fired pepper gas canisters causing severe health complications to them, particularly the aged. Meanwhile, the traders of Old City expressed strong resentment over frequent restrictions and damage to property in the city by forces. The traders under the banner of All Kashmir Traders Federation Old City Zaina Kadal decried the smashing of windows, the use of pepper gas and harassment of people. “The imposition of frequent restrictions in Old City has badly affected our business. Besides, we strongly condemn the damage to property and harassment of people in Old City by forces. We also urge the government to ban the use of pepper gas as it poses a risk to people,” said Nazir Ahmad Shah, the President of All Kashmir Traders Federation Old City Zaina Kadal.